We are an Aikido dojo (an Aikido school) in Cape Town practicing with an emphasis on harmony and gentleness. Our inspirations are Kiyosawa Sensei, Endo Sensei, Nevelius Sensei and Lyly Sensei. Aikido is a defensive Japanese martial art that emphasizes harmony. Like Judo, it involves throwing and rolling. We work with the energy of an attack. If you compete with speed, someone faster will overcome you. If you compete with strength, you will be defeated by someone stronger. We practice to meet an attack with equanimity, to be free in the moment, and to protect all whom we encounter. Craig is a student of Kiyosawa Sensei, 8th Dan, in Tokyo. 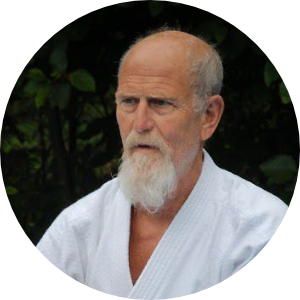 He spends three months every year in Tokyo doing only Aikido, practicing at his teacher's dojo, as well as at Hombu Dojo &dash; the World Headquarters of Aikido &dash; and at the dojos of Endo Sensei, Shinzawa Sensei and Yamane Sensei. He participates in the annual Lillsved seminar where he practices with Nevelius and Lyly Sensei and their students from around the world. He practices an Aikido that is gentle, subtle, effective and fun. We have a busy programme of Friendship Seminars, with very experienced international teachers visiting us to share their practice and inspirations. See our Latest News for upcoming events, and follow our Facebook Page. 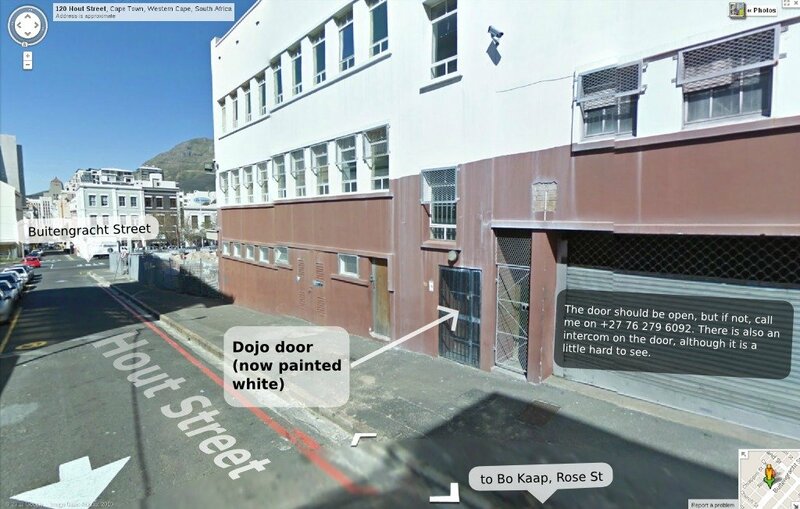 Renzo Gracie Cape Town, 86 Buitengracht Street, Cape Town, South Africa, above the Build It store. Fees are R 400 per month, payable on or before the 1st of each month. Your first class is free. Come and try it out. You don't have to join on the first lesson. You don't have to buy equipment from us. You don't have to be fit. Practice leads to fitness. Age does not matter - our adult class ranges from 18 - 90. Even if you have physical problems you can still enjoy Aikido. If you have a karate or judo gi, you can wear that. Otherwise, tracksuit pants and a t-shirt are good - anything you are comfortable rolling around in. If you would like to join us, if you would like to watch a class, or if you're just visiting Cape Town and would like to do some keiko (practice) while you're here, please get in touch. Cape Town Aikido is a member of the Aikido Federation of South Africa.